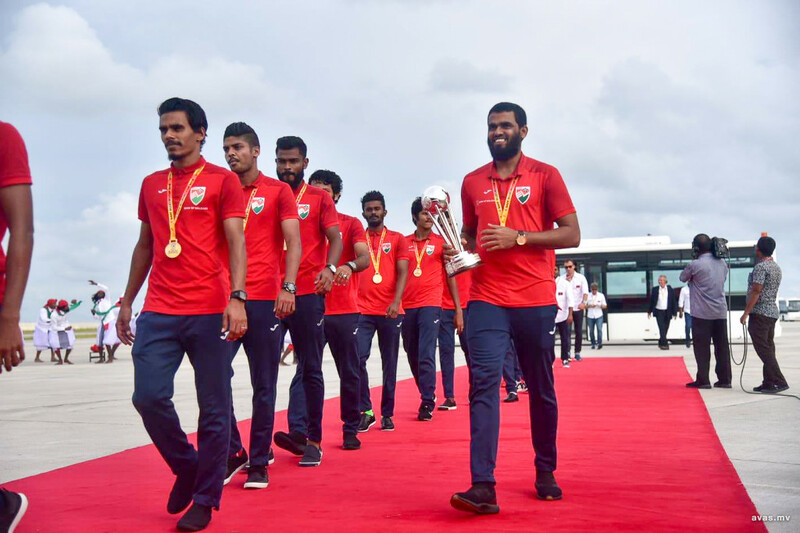 The recently crowned champions of SAFF Suzuki Cup 2018, Maldives national football team arrived with their trophy, on Tuesday afternoon. The team landed in Velana International Airport (VIA) in Etihad's A380 commandeered by Maldivian pilot Ali Ahsan around 16:00hrs. Maldives national football team emerged victorious in SAFF Suzuki Cup's final played on Saturday against India. The win comes after ten years since the island nation managed a championship victory in the regional tournament. Their last big victory was back in 2008 after beating India, again, in the finals. Maldives national football team managed a win of 2 against 1 goals at the finals against neighboring India. 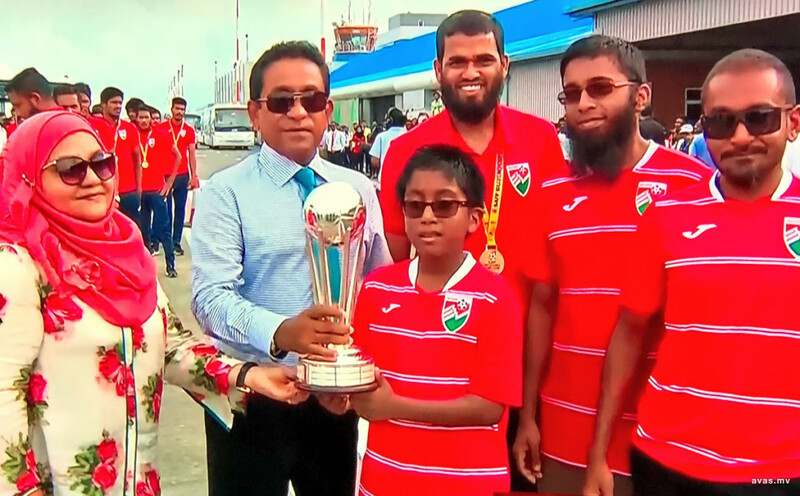 After arriving in Maldives, the team's captain Akram Abdul Ghanee had presented the tournament's championship trophy to the island nation's head of state Abdulla Yameen.